Working in a lengthy Google Doc can get cumbersome when you want to find the right section. 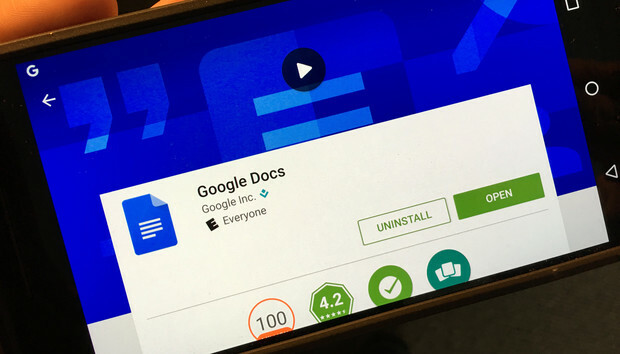 Google thinks it has the fix for this with a new document outline tool that’s rolling out to the Android and web versions of Google Docs. On Android, you can scroll through the different sections of your file with a semi-circle-shaped scrolling tool. You can scroll through the various sections in your document with the Google Docs Android app. The outline works similarly on the web, though with the extra screen real estate you can get a broad overview of how else you’ve divided up the parts of your document with different types of subheads. A new toolbar shows you the key sections of your file when editing on Google Docs for the web. The Android changes are available now on APK Mirror, or you can wait for the update to roll out in the Google Play Store. The impact on you: This catches up Google Docs with Word, which has long had an outline tool to quickly move to a different section of your document. The new feature will be welcome for students who write term papers or others who need to slog through a lengthy document.